At the end of the week, we resume everything that the cryptocommunity talked about over the past seven days. This week the bitcoin rate decreased to the annual minimum, Bitcoin Cash network implemented hardfork, and the Ethereum mining was unprofitable. 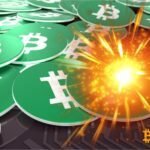 According to BKCM CEO, Brian Kelly, Bitcoin fell due to the upcoming software update of Bitcoin Cash cryptocurrency network. According to analyst and trader, Willy Woo, the main cryptocurrency Bitcoin will maintain its negative dynamics until the middle of next year. According to the Russia Today, a cryptoinvestor and an ardent defender of digital assets, Max Keiser, predicted that Bitcoin could surpass its previous records, since this week the stock market fell. According to Dan Morehead, co-founder of Pantera Capital investment company, the cryptocurrency market in about 10 years will be able to occupy a dominant position in the world. According to Binance CEO, Changpeng Zhao, cryptocurrency exchange, eventually, the market will experience rally, and institutional investors can push it there. In the opinion of Nikolay Storonsky, a former trader of Credit Suisse and the co-founder of the fintech startup Revolut, at the moment institutional investors are not likely to invest their assets in digital currencies. According to a Chinese lawyer expressed in an interview with local media, the co-founder of the world's largest manufacturer of mining hardware Bitmain, Jihan Wu, has lost influence on the decision-making process after castling on the board of directors. According to the developer of the Ethereum, Joseph Lubin, the development of blockchains is likely to “take a little longer” than the Internet, because they are “much more complicated”. According to co-founder of Australian cryptocurrency exchange CoinJar, Asher Tan, the stablecoins change the rules of the game for the entire crypto sector, and the number of their potential usage scenarios is much larger than we think. According to the head of IMF, Christine Lagarde, the time has come for world central banks to consider the concept of state cryptocurrency. Stanley Yong, chief executive officer of IBM, also said that central bank digital currencies (CBDC) could help mitigate the risks that contributed to the 2008 financial disaster. According Benoit Coeuré, Member of the Executive Board of the European Central Bank Bitcoin considers “the evils of the financial crisis in 2008”. According to VanEck, one of the firms applying for the approval of their Bitcoin-ETF, the company is “very close to the Commission’s conviction” to approve its application. 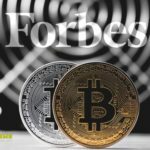 According to Forbes, 35-year-old Brian Armstrong, the head of the American cryptocurrency company Coinbase, became a billionaire, and 7 people who are involved in cryptocurrency and blockchain are in the Forbes 30 Under 30 rating. A study conducted by the Department of Information Technology in Moscow and the Yandex.Money service states that only about 1% of Russian residents capital use digital currencies to pay for goods and services. According to representatives of the new cryptocurrency fund Circuit Capital, the drop in the crypto market this year hides the growing adoption of cryptocurrency among consumers and investors. According to Coin Metrics, Bitcoin also became a clear winner in terms of price stability, especially in the second half of the year, while ether became the only altcoin that could approach the bitcoin in terms of price stability. According to the latest data, at the end of October there were more than 4,000 terminals in the world that serve Bitcoin holders and other digital currencies. 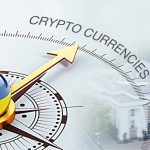 Leading positions in the ranking of countries in the number of cryptomats occupy the United States and Canada. Researchers at Queen Mary University of London and the United States University of Cambridge have concluded that private blockchains, such as interbank platforms for exchanging customer information, are most compatible with the new EU privacy rules. Russian Association of Cryptoindustry and Blockchain (RACIB) suggests to make amendments to the bill of cryptocurrency industry legalization. RACIB supports legal circulation of cryptocurrency on market, and the system of taxation of cryptocurrency transactions has to be maximum transparent. Crimean officials are considering options for launching an investment fund in the region to support promising blockchain startups. At the same time, the government of the peninsula wants to open a blockchain cluster in the Crimea, where high-tech enterprises can work freely. Also, the Russian authorities in collaboration with Asian investors, want to implement a project for the production of “digital diamonds” on the blockchain platform. Recently, Japan has simplify its tax laws regarding cryptocurrency trading and business. There are reports that the United States and the United Kingdom, where high taxes are applied to cryptocurrencies, may follow the example of Japan. The Vietnamese authorities have not yet decided on the format for regulating the cryptocurrency industry. The Ministry of Justice presented a report for the government in which it listed several ways to regulate the activities of miners and crypto traders. The director of the Bolivarian Chamber of Commerce and Industry of Venezuela, Ricardo Baptista, said that the national cryptocurrency Petro will allow the country to purchase raw materials for the production of products and medicines. Plans to launch the national cryptocurrency in the Republic of the Marshall Islands remain in force - the main supporter of this project, President Hilda Heinz, retained power; no vote of confidence from parliament was passed. The Hong Kong cryptocurrency exchange Bitfinex declared revision of fees and withdrawal of funds structure. The main withdrawal of funds fee on Bitfinex makes 1%. However those who want to remove more than $1 million in fiat for the 30-day period will pay 3%. 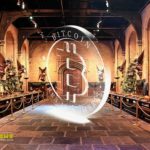 The GMO Internet company published the financial performance for the third quarter in which showed profitability of the cryptocurrency businesses, despite "harsh external conditions". The Galaxy Digital company which is headed by the billionaire, Mike Novogratz, declared change of strategy of business. According to the press release, changes include reorientation from providing consulting services by small ICO to "larger institutional customers". Reducing the cost of the ether has led to the fact that the mining of this cryptocurrency has ceased to be profitable. This is the conclusion reached by analysts at Susquehanna. Canaan, one of the world's leading manufacturers of mining hardware, canceled its $ 400 million IPO application in Hong Kong, which also casts doubt on the chances of other Chinese manufacturers of miners. Mining companies in China that are not registered will be massively disconnected from the power supply. The government has already prepared a plan to deny access to electricity to such enterprises in the largest provinces. The company Nvidia on Thursday, November 15, published its income statement for the third quarter. According to the document, the demand for graphics processors (GPU) for mining cryptocurrency has fallen. After the publication of sales data for Nvidia shares, the company's shares fell by more than 16%. Two mining companies - NGDC and Chasqui Tech - fled from Sweden without paying their rent and electricity bills in the amount of $ 1.5 million. The credit startup of Salt Lending and its former CEO Eric Voorhees are under investigation of Securities and Exchange Commission (SEC) of the USA. SEC caused Salt Lending in February to find out information on the initial offer of coins (ICO) of Salt Lending worth $50 million at the end of 2017. As reported today, on November 13, lawyers of the American technological company Ripple Labs drafting the protocol of payments Ripple submitted the class action against the company will be presumably transferred to federal court of the USA. The businessman of the Ukrainian origin Maxim Zaslavsky was found guilty of collusion for the purpose of fraud with securities in connection with two ICO projects and is sentenced to five years of prison. The exciting history of the Reddit user “Lostpass”, who found his old Bitcoin wallet Electrum, forgotten in 2015, and then discovered the password, became known the other day. Another Reddit user talked about a case where someone tried to steal Bitcoins using the name of the cryptocurrency exchange Coinbase. Dash cryptocurrency network successfully passed stress testing, processing more than 3 million operations in 24 hours. Stress testing is conducted by digital currency developers systematically to evaluate the real potential of the blockchain in terms of its throughput capabilities. Employees of the cybersecurity company McAfee Labs revealed a new Russian cryptodikeing software called WebCobra, which secretly contained on the computers of their victims cryptocurrency Monero and Zcash. According to the Kaspersky Lab report, cryptodikeking will only grow. © 2018 bit.news | queries 225, for 0.494 sec.